Featuring over 30 master classes in dance and movement from all over the world. 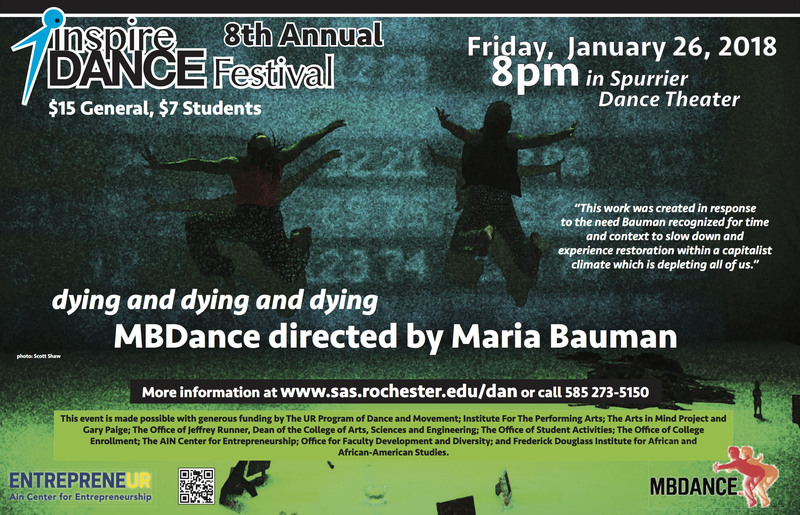 "MBDance" featured dance company performance, Friday, January 26, 8 p.m. The seven-day festival, organized by the Program of Dance and Movement, will take place on the River Campus from January 20 to 26, 2018. The event is open to the general public--inviting both the University community and the Rochester-area community to experience dance in the Program of Dance and Movement at the University of Rochester. This year the festival will feature award-winning dance artist Maria Bauman and her dance company MBDance. 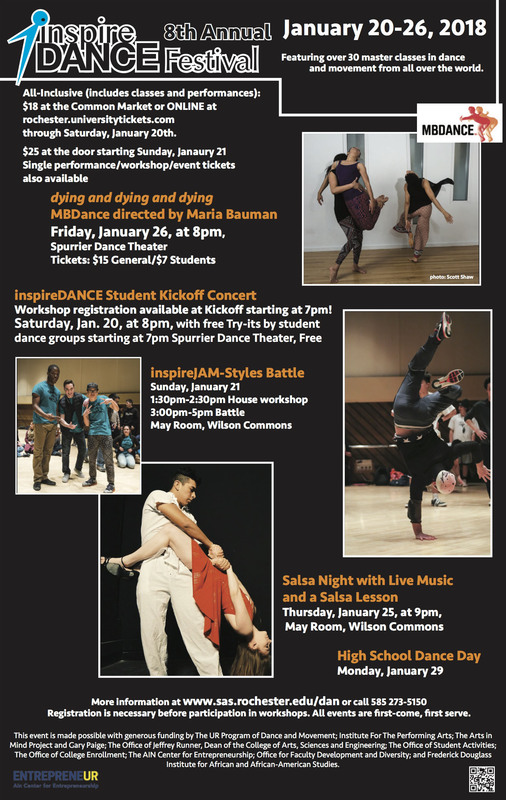 There will be a salsa night, the popular inspireJAM all-style battle, and more! Tickets go on sale December 8, 2017. 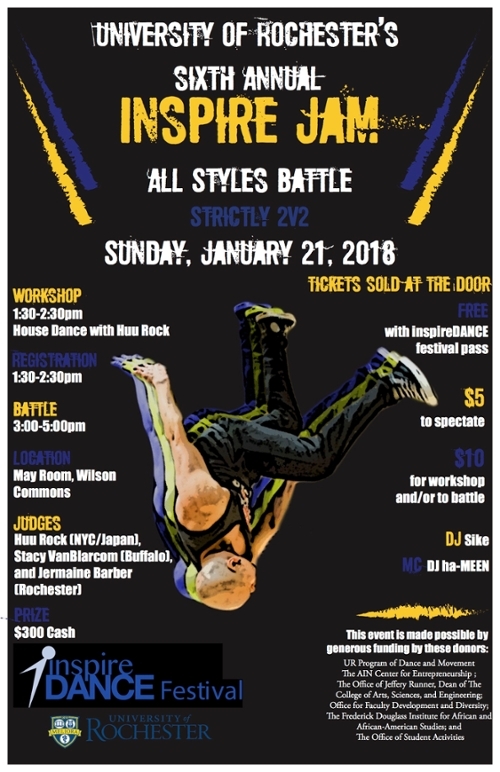 You can purchase the advance $18 ticket in person at the Common Market in Wilson Commons through Saturday Jan 20th, or online at rochester.universitytickets.com until noon on Friday, Jan 19th (service fees apply). The festival was launched in 2011 by Arielle Friedlander '11 (KEY) in collaboration with Program of Dance and Movement Director Missy Pfohl Smith.